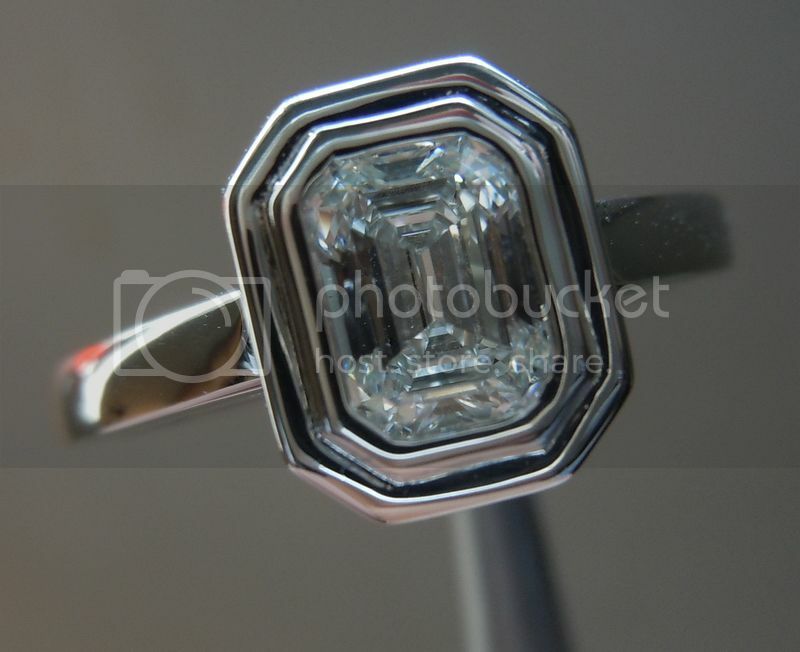 Here is a beautiful bezel set diamond ring. 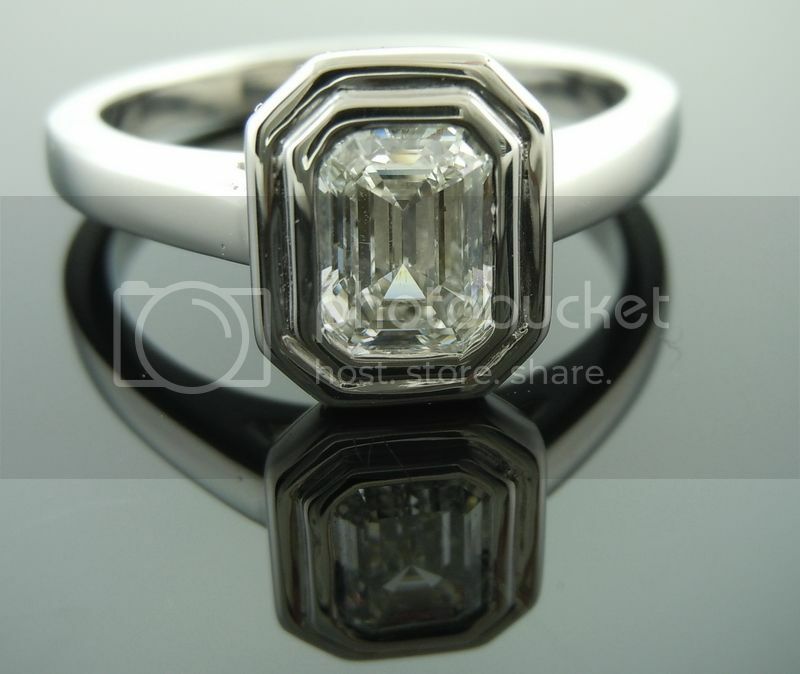 At the center of this ring a gorgeous emerald cut diamond. 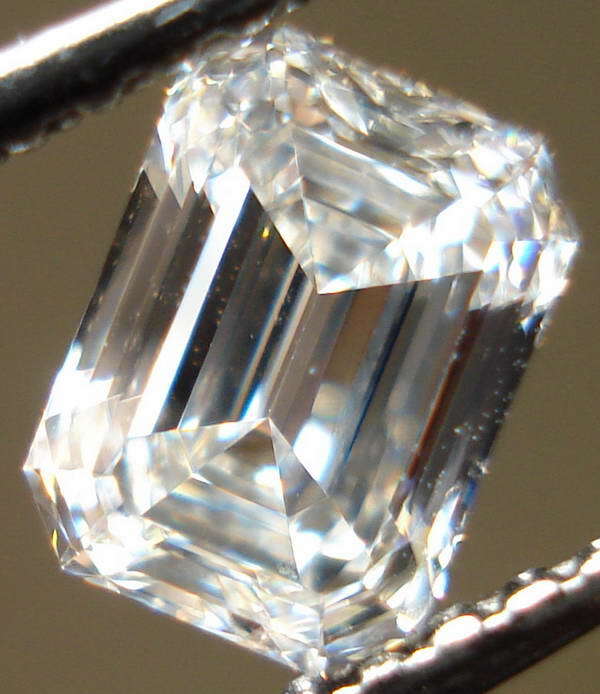 I love step cut diamonds - this one is a great specimen. 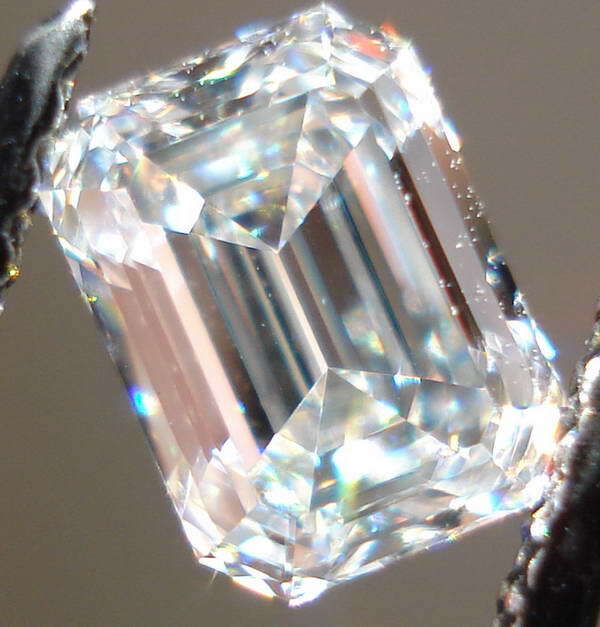 You can actually look into the stone, and see the facets- this creates an amazing optical illusion as the facets act like little mirrors- when they are not acting like windows. The on/off created when you move the diamond- even just a little bit- gives us the glitter that makes emerald cuts so attractive. This stone is extremely well cut- provided you like the shape, which is apparent in the photos. This one has a lofty grade, at F/VS1. Totally eye clean, and colorless. 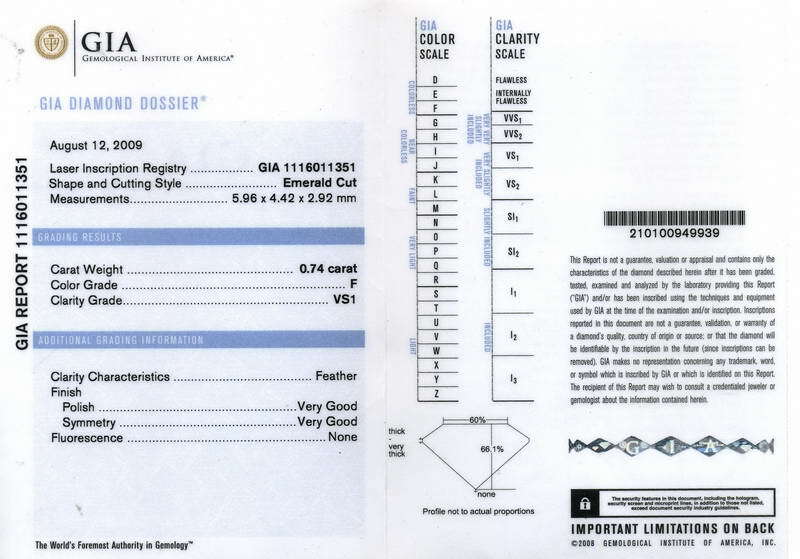 The GIA "Diamond Dossier" includes a laser inscription- as this stone has. This setting is modern, yet classic all in one. 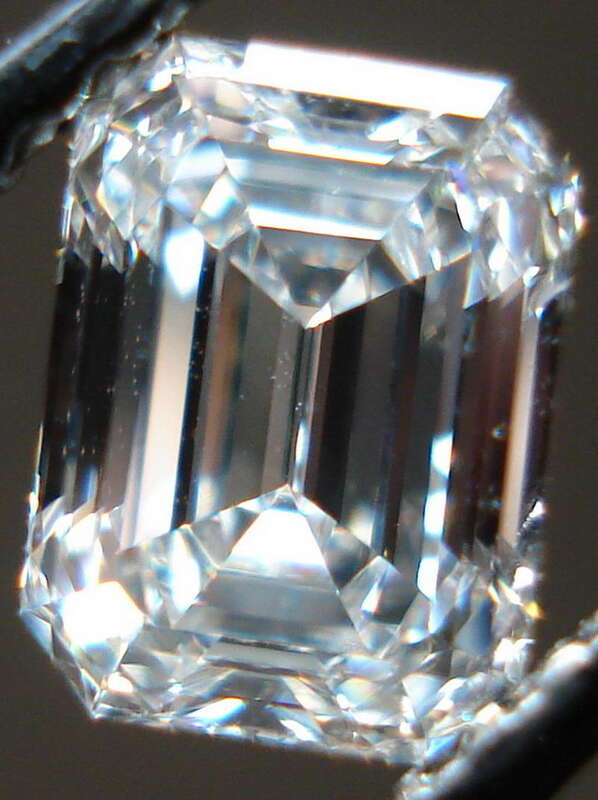 The diamond is set in a double bezel. This creates a "faux halo" of sorts adding great visual size to the ring. The bezel is beautifully done - like liquid metal. The over all finish of the ring is wonderful. Everything is smooth to the touch. 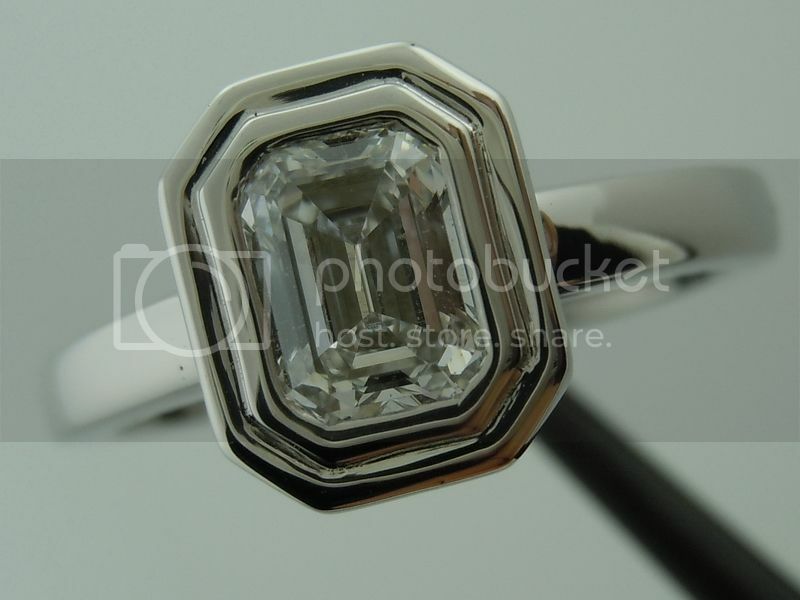 The sleek lines of this setting is a perfect compliment to the cut of this diamond. The double bezel creates a shine of its own, producing broad flashes of light, much like the emerald diamond. Combined this makes for a stunning ring. The ring is very well made. The shank is substantial, yet extremely comfortable to wear. 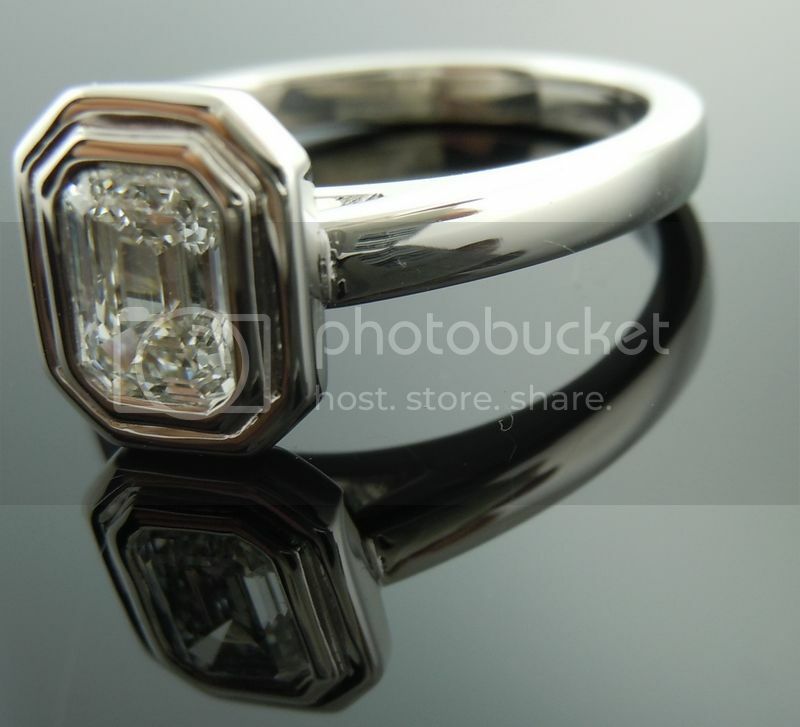 The ring is designed so that it will fit flush with a traditional wedding band. The design also allows for a great deal of light to enter through the pavilion letting this gorgeous stone shine!